may inspire you to create pieces of lace of your own. This is my first tutorial, with diagrams, in the art of needle-lace making. Some history of lace and lacemaking. Photographs of my favourite lace pieces. My Photographs of Australia and other things. Lace Sites, Friend's sites, and Sites I've found useful. 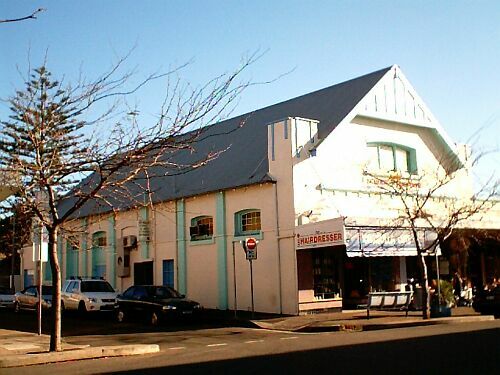 The picture below is of the Cronulla School of Arts, in Sydney, Australia, where the Southern Suburbs Lacemakers meet twice a month. If you are able and interested, you would be more than welcome. For more information, e-mail me via the link above.